In this video, Dr. Huntoon discusses Asthma and the various causes of it. He shares information about the source of asthma and what you need to consider if you choose to get well. When you are ready to get to the source of your asthma and leave the inhaler and other medications behind, Dr. Huntoon is ready to support that outcome. a chronic (ongoing) disease of the airways in the lungs called bronchial tubes. 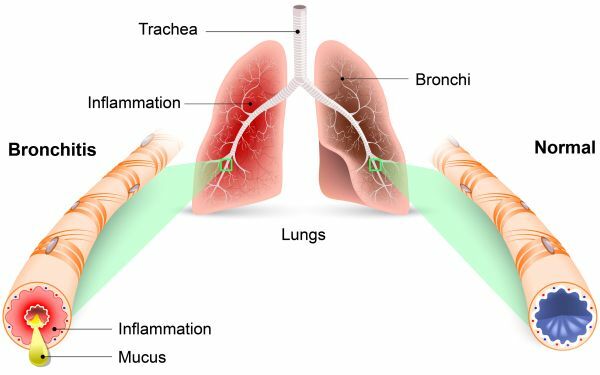 Bronchial tubes carry air into and out of the lungs. In people with asthma, the walls of these airways become inflamed (swollen) and oversensitive. The airways overreact to things like smoke, air pollution, mold, and many chemical sprays. They also can be irritated by allergens (like pollen and dust mites) and by respiratory infections (like a cold). When the airways overreact, they get narrower. This limits the flow of air into and out of the lungs and causes trouble breathing. Asthma symptoms include wheezing, coughing, and tightness in the chest. refers to chronic obstructive bronchitis and emphysema. These conditions often occur together. Both diseases limit airflow into and out of the lungs and make breathing difficult. COPD usually gets worse with time. a disease in which abnormal (malignant) lung cells multiply and grow without control. These cancerous cells can invade nearby tissues, spread to other parts of the body, or both. The two major kinds of lung cancer are named for the way the cells look under a microscope. Asbestos. This is a natural mineral fiber that is used in insulation, fireproofing materials, car brakes, and other products. Asbestos can give off small fibers that are too small to be seen and can be inhaled. Asbestos harms lung cells, causing lung scarring and lung cancer. It can cause mesothelioma (MEZ-oh-THEE-lee-OH-muh), which is cancer that forms in the tissue covering the lungs and many other organs of the body. Air pollution. Recent studies suggest that some air pollutants like car exhaust may contribute to asthma, COPD, lung cancer, and other lung diseases. Some diseases that affect the lungs, like the flu, are caused by germs (bacteria, viruses, and fungi). How would I know if I have lung disease? Asthma medicines work by opening the lung airways. The medicines used to treat asthma fall into two groups: long-term control and quick relief. Long-term control medicines are to be taken every day, usually over a long period of time. They help prevent symptoms from starting. This is a pill that helps open the airways. short-acting bronchodilators, like albuterol and pirbuterol. Quick-relief medicines often relieve symptoms in minutes. They do this by quickly relaxing tightened muscles around the airways. They are taken when symptoms worsen to prevent a full-blown asthma attack and to stop attacks once they have started. If you have asthma and may become pregnant, talk to your doctor. Only in very severe cases might asthma be a reason to avoid becoming pregnant. If you have asthma and become pregnant, you and your doctor can discuss the safety of your medicines. Changes in the medicines can sometimes make good sense. It is very important to manage your asthma symptoms when you are pregnant. Asthma that gets out of control can harm your baby. You should also talk with your doctor about getting a flu shot. Flu can be very serious for anyone with asthma, but it's even more of a concern for pregnant women with asthma. Chest x-ray or chest computed tomography (CT) scan. These tests create pictures of the heart and lungs. The pictures can show signs of COPD. They can also show whether your symptoms are caused by another condition, such as heart failure. This blood test measures the oxygen and carbon dioxide levels in your blood. It can help determine how severe the COPD is and whether oxygen therapy is needed. Sometimes surgery can help people with severe COPD feel better. Lung transplant surgery is becoming more common for people with severe emphysema. Another procedure called lung volume reduction surgery is also used to treat some patients with severe COPD of the emphysema type. In this surgery, the most damaged part of each lung is removed. Usually, there are no warning signs of early lung cancer. By the time most people with lung cancer have symptoms, the cancer has become more serious. Doctors pass a special tube called a bronchoscope through the nose or mouth and down into the lungs. They can see into the lungs and remove small bits of tissue to test. Sometimes lung cancer treatments are used to try to cure cancer. Other times, treatments are used to stop cancer from spreading and to relieve symptoms. Test for radon. Find out if there are high levels of radon gas in your home or workplace. You can buy a radon test kit at most hardware stores. The U.S. Environmental Protection Agency offers information on how to deal with radon. Avoid asbestos. Exposure to asbestos can cause scarring of the lungs, lung cancer, and other serious lung diseases. Asbestos can be a particular concern for those whose jobs put them in contact with it. This includes people who maintain buildings that have insulation or other materials that contain asbestos and people who repair car brakes or clutches. Employers of those who work with asbestos should offer training about asbestos safety and should regularly check levels of exposure. They also should provide ways to limit exposure, such as special breathing masks that filter asbestos dust from the air. Ask your doctor about protecting yourself from the flu and pneumonia with vaccinations. Dr. Huntoon has years of experience in helping those with Lung Health issues. Understanding the emotional component and using NET to address those emotions (grief, sadness, yearning, cloudy thinking or anguish as primary emotions) becomes vital in resolving Lung Health concerns. Also, by supporting lung function by giving Whole Food Supplemental support and using homeopathic preparations to restore balance to the whole respiratory system is necessary when dealing with Lung Health concerns. This has always proven effective when helping people resolve their Lung Health issues. Also, working with the other two components of the Metal Element, the Large Intestine, and the Skin becomes important, as each of the 3 organs depends on the others for proper balanced function. Using the 7 Pillars of Health to do this has helped many overcome their Lung health issues and go back to a normal life. Working with a Holistic Chiropractor who is well versed in respiratory conditions and has a proven track record with helping these types of conditions is warranted. Appreciate the restoring proper nerve communication both to and from your lungs using chiropractic manipulation to facilitate better functioning between your brain and the rest of your Central Nervous System goes a long way to restoring balance and function to your lungs. Understanding the imbalance or pathology associated with your respiratory system and addressing the underlying CAUSE is always better than masking things with medication. This form of care, natural and holistic care, will create a better overall outcome versus being tied to medications that allow your condition to get worse.